Cubic Transportation Systems is one of three companies which have been shortlisted to take part in the Request for Tender (RFT) stage of the tender process to run the myki smart card ticketing system in Melbourne. Cubic Transportation Systems Australasia managing director Tom Walker says they are confident Cubic can dramatically improve the transport experience for commuters in the city. 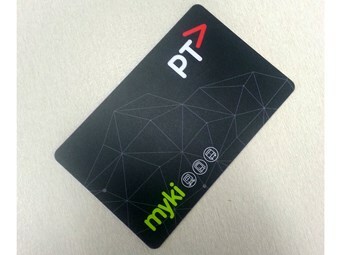 "Should PTV select Cubic as their long-term partner, our first priority will be to ensure that Cubic’s introduction is smooth, seamless and that the current myki system continues to operate efficiently, while investigating a range of future enhancements that have the ability to bring a new level of convenience and excitement to Victorian commuters," he says. Accenture Australia and NTT Data Victorian Ticketing System have also been selected to go to the next stage of tender. Expressions of Interest were sought for the services contract in February this year. The tender process is expected to be complete in mid-2016, with the successful respondent to commence their contract at the start of 2017.